Our very extraordinary, unique and stupendous reversible, twirly, 4-way design that she will adore. Seriously, we really went crazy with this style. It has 15 contrasting fabrics all on one dress. Plus 4 different style lines making each "front" look completely different. You won't find this anywhere else, it just doesn't exist. Super comfy, full circle skirts (so it's wonderfully twirly), easy to care for, and impeccably constructed so she can wear it all the time. 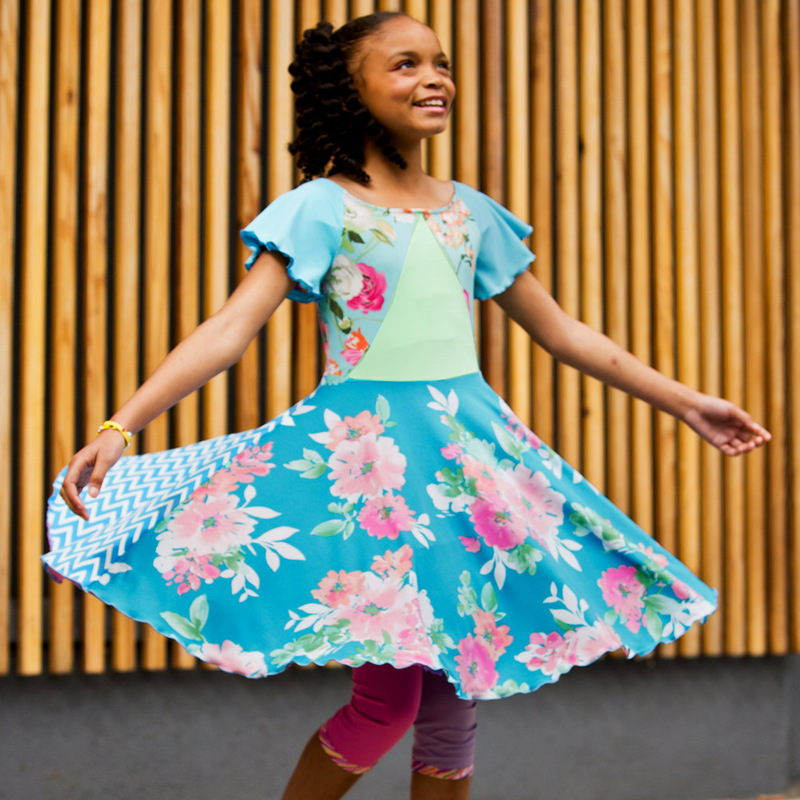 This is definitely a dress she will remember forever, creating memories as she twirls.